We're getting closer to the premier supply chain event of the year: ISM2016! This year's event offers eight different learning tracks, loaded with educational and networking sessions designed to help professionals advance in the practice of supply management and procurement. Conference attendees are encouraged to take advantage of the wide range of learning sessions by customizing their experience based on their goals for the event. 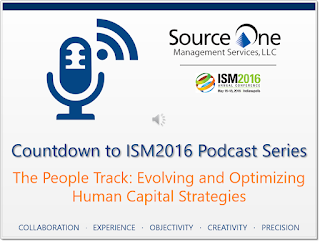 In this week's episode of the Countdown to ISM2016 Podcast Series (The People Track: Evolving and Optimizing Human Capital Strategies), we're taking a deeper look at the People Track. This Annual Conference learning track focuses on providing you with the tools, resources, and solutions necessary to evolve and optimize your talent management strategies. This week we sit down with Howard Levy, Co-chair of ISM2016's People Track and VP of Global Sourcing at Zimmer Biomet to learn his vision for the Annual Conference. Levy shares why attending ISM2016 and conferences like it are vital for professionals at any stage in their career, along with his plans for attending the various sessions with his team. As moderator for the panel titled Transformation Superchargers: What Private Equity Expects from Sourcing Leaders, Levy explains how sourcing in private equity is unique and makes the case for why more supply management professionals should be exposed to these types of firms. For more information on the annual conference, visit www.ISM2016.org. 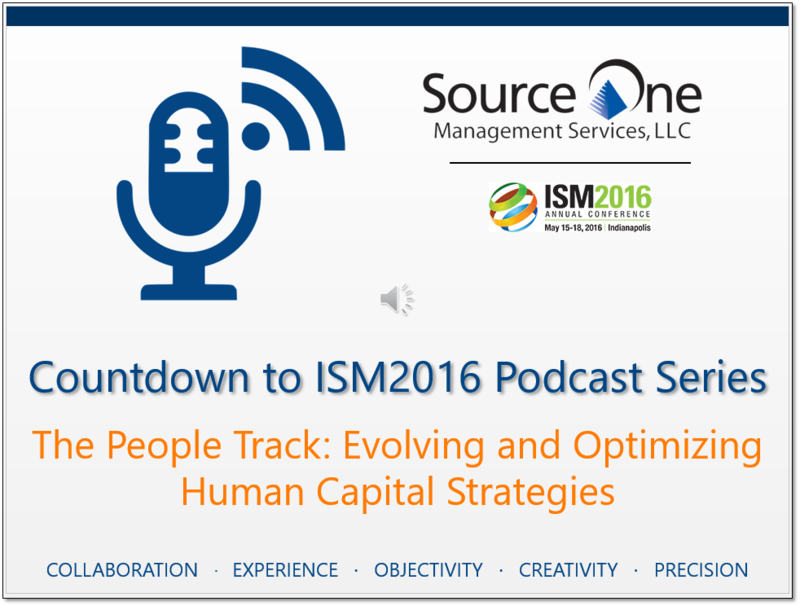 Don't miss out on any of the cost-reduction best practices or conversations with ISM leaders covered in the Countdown to ISM2016 Podcast Series!